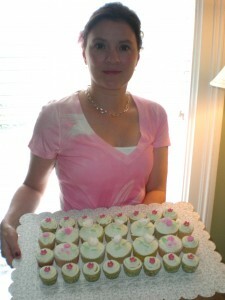 Dani Cakes Savannah is a home based business in the heart of Savannah, specializing in custom cakes for most occasions. For questions or quotes contact me through email with all your info and your planned budget. Cakes start at $150. I look forward to hearing from you. Your work is very phenomenal! I was wondering if you could make a cake for my baby shower? I have emailed you all of the details and information. I just had to come back and look at your website again. I’m so impressed, keep up the good work! ……CAKE WAS PERFECTION….LOOKS AND TASTE….NEED TO FIND ANOTHER OCCASION A.S.A.P TO NEED ANOTHER CAKE FOR…!!! Hi I was wondering how much would cost for a cake like the mermaid cake for about 50 people. My daughter’s bday is June 19th and the theme is Ariel, the little mermaid. Also how much time do I need to order prior to the party. She will be 4 years old. Thanks ! Hi my wedding is on September 17th 2016. And i really want a nice elegant yet simple black and gold cake with red roses(maybe ) Can you help me ? Hi And thank you for contacting Dani Cakes Savannah. Unfortunately, I’m already booked for that week. Please keep me in mind for future events. Hi my name is Jocelyn I was wondering if you can make my sons first birthday cake. Hi, we are having a “dual” graduation party on May 13th for my son’s graduation from UGA’s business school and my daughter’s graduation from nursing school. I need two cakes and the total number of people will be around 30. Do you have an approximate estimate per cake? I would like my son’s to be chocolate with chocolate icing and my daughter’s to be yellow or white cake with white/vanilla icing. Thank you! Good morning I found your business through Google. I looked through your cakes and they are absolutely beautiful! I would like to discuss the possibility of you designing a cake for me. I’m active duty military, in the Army, and will be retiring. I have my retirement reception in July, Are you available to sign a cake for me. I’m in Savannah until Tuesday is it possible that we could meet Monday (anytime) or Tuesday morning? I’d like to speak with you and or visit your location to to discuss a particular cake design and receive a quote on a cake for a military retirement.